Picking our top 18 cakes of 2018 nearly killed us! How do we pick between such sweetness? How do we slice through the best of the best? How? How? HOW?! The answer, dear friends, is that you pick the tiers that speak to you most. Then, you go cut yourself a slice of cake, celebrate with tiers of joy, and drown your sorrows in the sugar we loved and lost. 1. 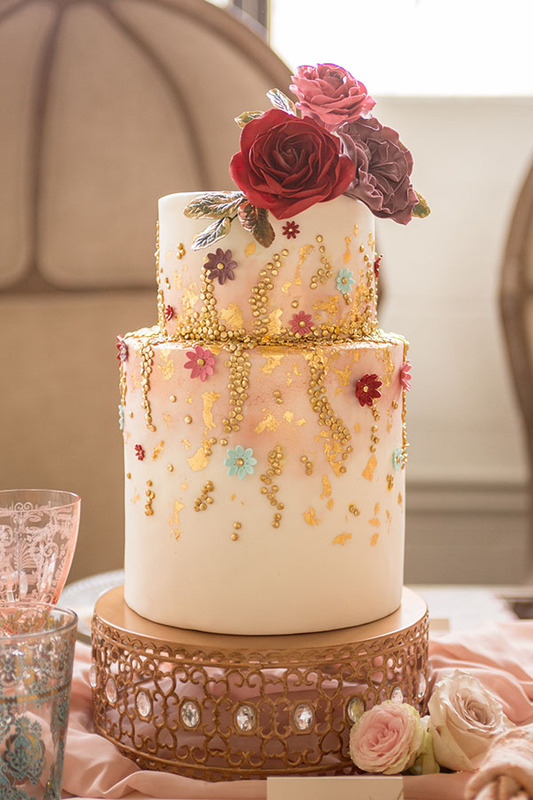 AS SEEN IN Golden Glamour // CAKE Flour & Flourish // PHOTO Dan Page Photography (a #UVBvendor!) // UVB SAYS This dusty pink perfection (with sugar flowers!) is as lovely as it is lush. Created for the #KenzieVictoryWorkshop in collaboration with Rachael Ellen Events, Cassidy at Flour & Flourish absolutely outdid herself. Perfection. 2. AS SEEN IN Alexis + Nathan // CAKE Carrie’s Cakes // PHOTO Mikki Platt Photography // FLORAL Over the Top Events (a #UVBvendor!) // UVB SAYS What a reception-stopper! 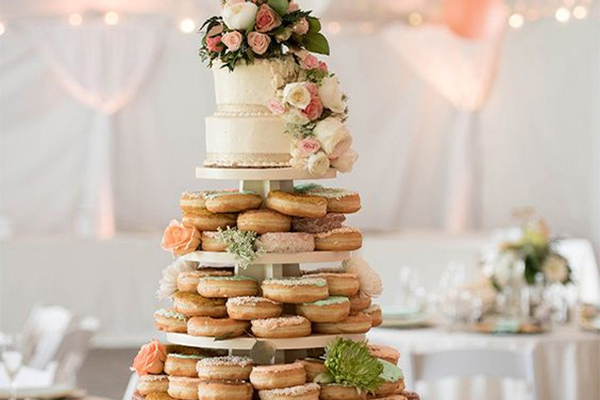 This tall-tiered wonder has a cake display for the ages. We adore the detailing, the beading, and the florals on top of that luxurious linen. 3. 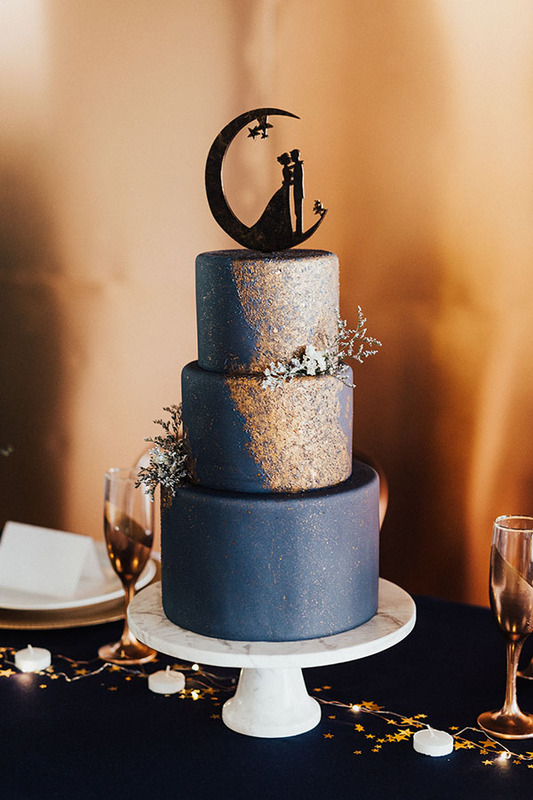 AS SEEN IN Out of This World // CAKE Sweet Cravings // PHOTO Fox + Sloane Photography // UVB SAYS That navy and copper combo has us squealing! And the cake topper? Love it to the moon and back. What a beautiful creation from the wonderful and talented Marcia at Sweet Cravings. 4. 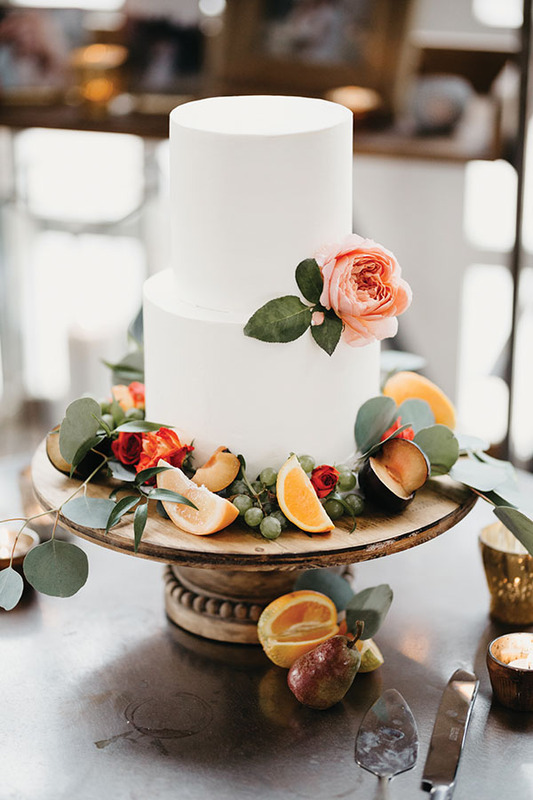 AS SEEN IN Taryn + Caleb // CAKE Cake to Krumb // PHOTO Hickenlooper Photography // UVB SAYS The stunning simplicity of this cake is gorgeous enough, but then you add fresh fruit, flowers and leaves? Please and thank you. 5. AS SEEN ON Utah Valley Bride’s Instagram // CAKE Waffle Love (a #UVBvendor!) // PHOTO Archived Photography (a #UVBvendor!) // UVB SAYS We love this cake a waffle lot. So much so that we’re not even going to apologize for that pun. 6. 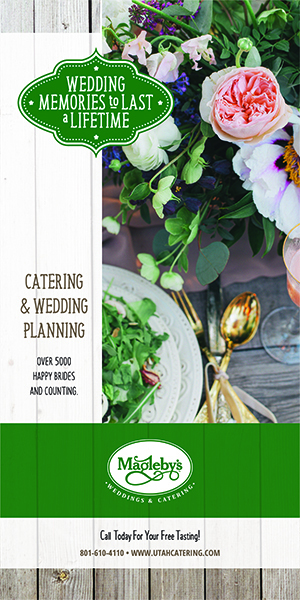 AS SEEN IN Hues + Hers: Spring // CAKES The Mighty Baker (a #UVBvendor!) // PHOTO Emilie Ann Photography (a #UVBvendor!) // UVB SAYS What’s better than one cake? An individual mini pink cake for every guest, of course! LOVED these cute creations The Mighty Baker dreamed up with planner Over the Top Events. 7. 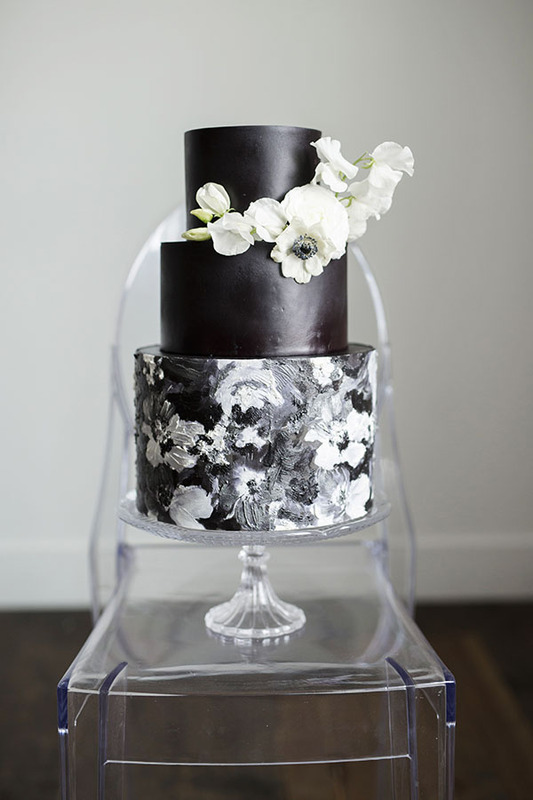 AS SEEN IN In The Black // CAKE Cupcakes by Julie // PHOTO Tiffany Sangster Photography (a #UVBvendor!) // UVB SAYS Black is the new black, y’all. And this cake is precisely why. Also, those paint strokes are to die for. 8. 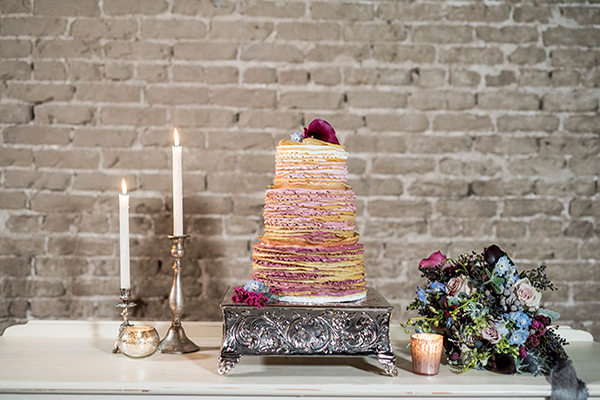 AS SEEN IN City of Stars // CAKE Flour & Flourish // PHOTO Kathryn Bruns Photography // UVB SAYS Elevated elegance. 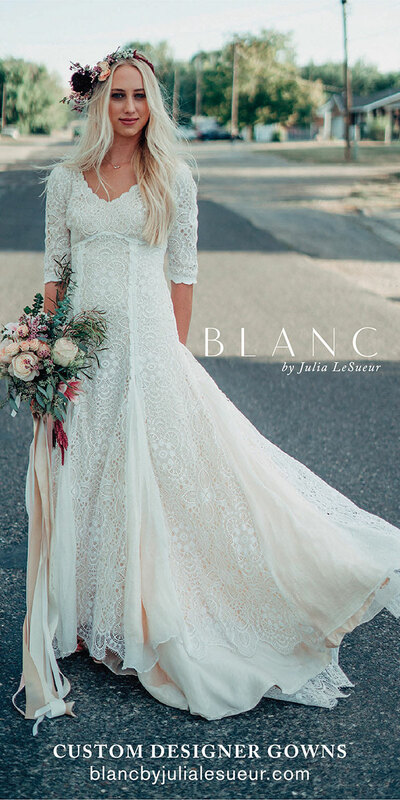 This gorgeous confection with its floral embellishments is white hot. LOVED this “La-La Land” inspiration with planner Belle Bodas. 9. 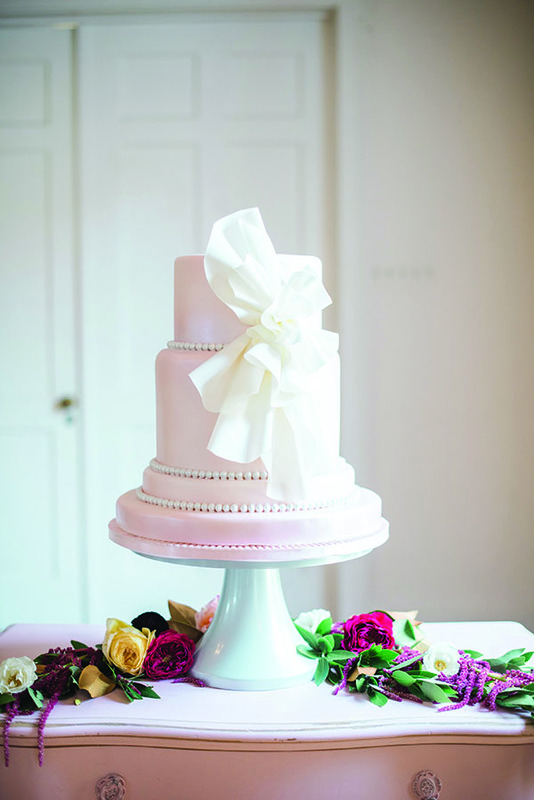 AS SEEN IN Southern Belle // CAKE Carrie’s Cakes // PHOTO Brooke Bakken (a #UVBvendor!) 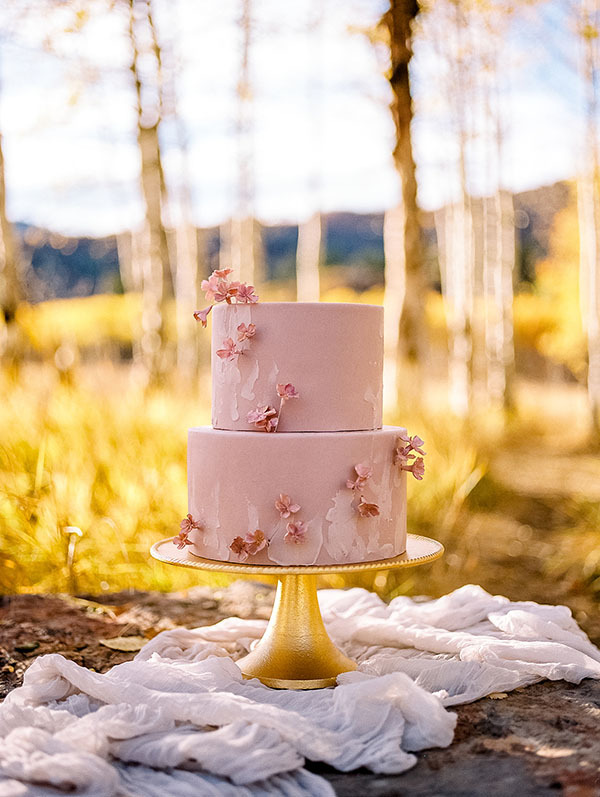 // UVB SAYS Created with Sage and Thistle Events for our Southern Belle editorial in the 2018 print issue, this gorgeous cake is feminine, fierce, and masterful in execution. 10. 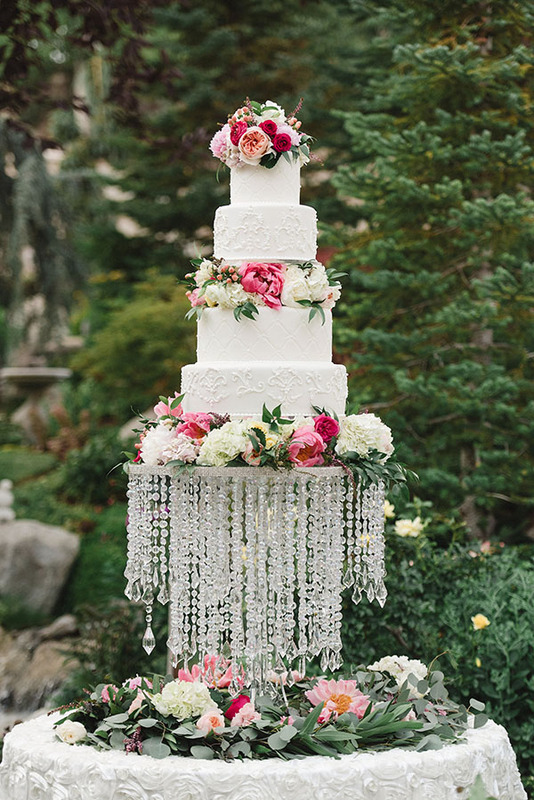 AS SEEN IN Solo Tu // CAKE Cuisine Unlimited // PHOTO Alixann Loosle Photography (a #UVBvendor!) 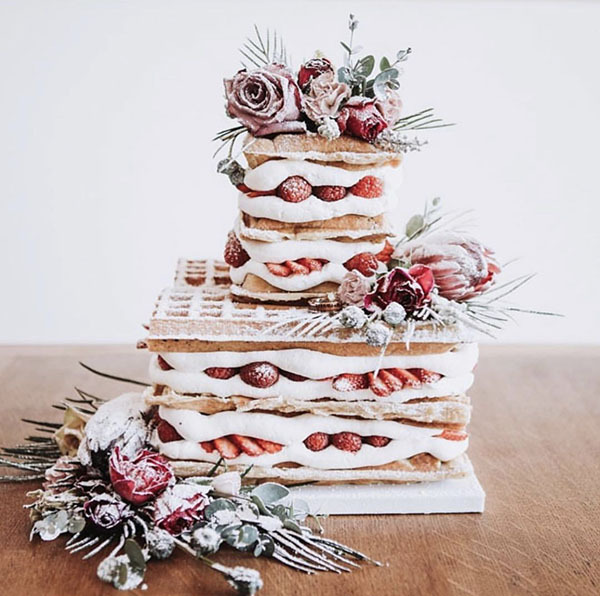 // UVB SAYS This berry-topped layer loveliness is the perfect alternative to your traditional wedding cake. Dreamed up with the gorgeous mind of Michelle Leo Events, this sweetness was a perfect addition to our Italian table. 11. 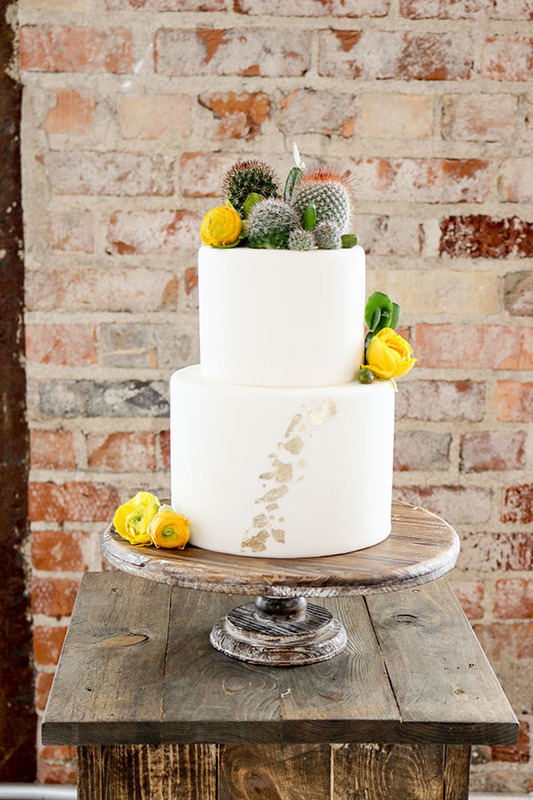 AS SEEN IN Boho Cactus Love // CAKE Sweet Cravings // PHOTO Whitlee Ivie Photography // UVB SAYS This prickly perfection has us longing for desert wedding glamour. And that detailing on the bottom layer? Golden. 12. 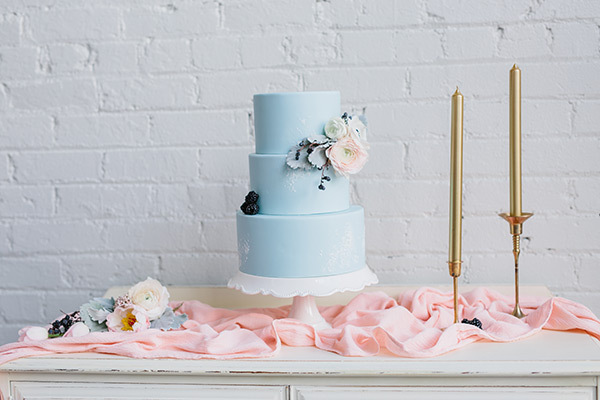 AS SEEN IN Blue Daydream // CAKE Ami Cakes // PHOTO Ashley DeHart Photography // UVB SAYS Something blue FTW! And how fabulous are those orange blooms to top it all off? 13. 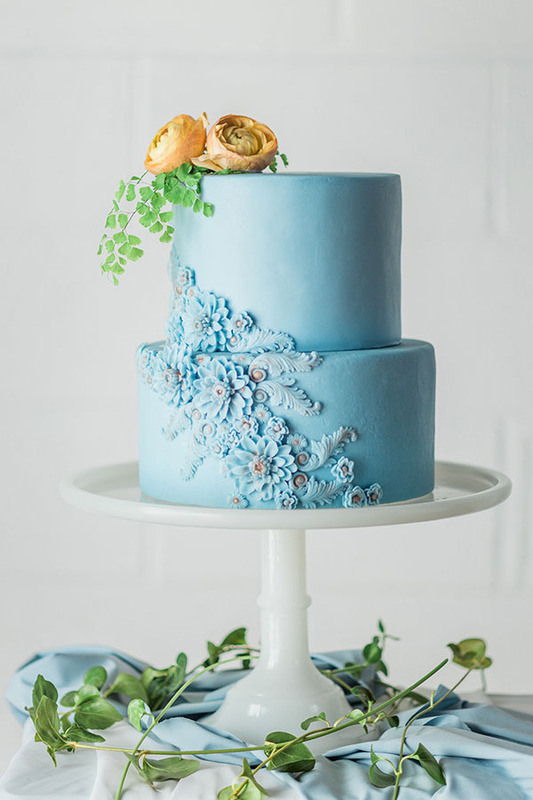 AS SEEN IN Copper + Cobalt // CAKE Pippa Cakery // PHOTO Claire Marika Photography // UVB SAYS Sugar! Oh, honey, honey. 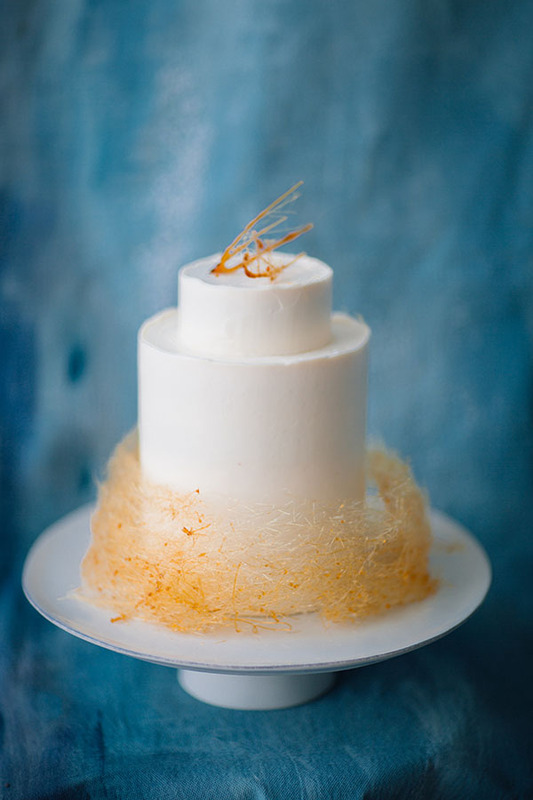 We are dying over this minimalist cake decked out in a spun sugar halo. 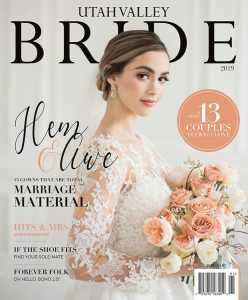 Such a beautiful collab with Belle Bodas. 14. 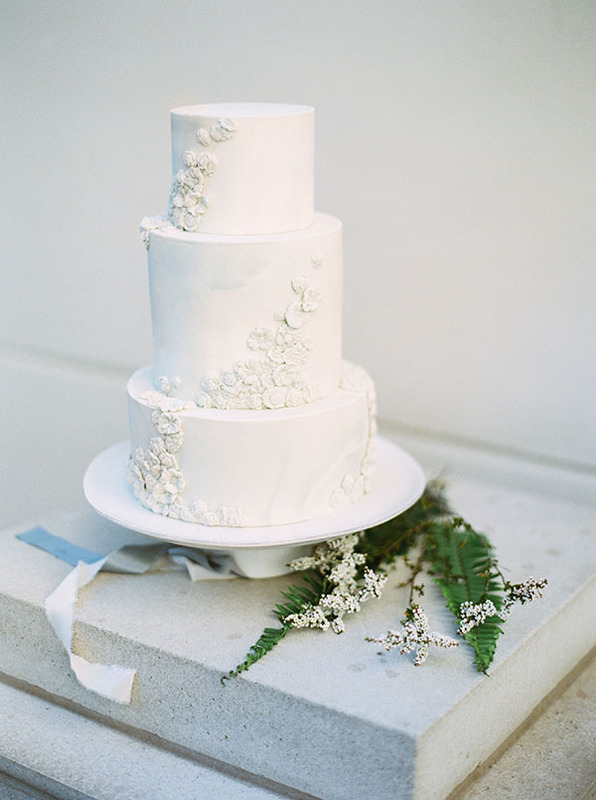 AS SEEN IN Sois A Moi // CAKE The Cake Flower // PHOTO Breanna White Photography // UVB SAYS Intricate. Opulent. Magnificent. We instantly fell in love with this work of art, featured in this French-inspired shoot from Cope & Co. Events. 15. 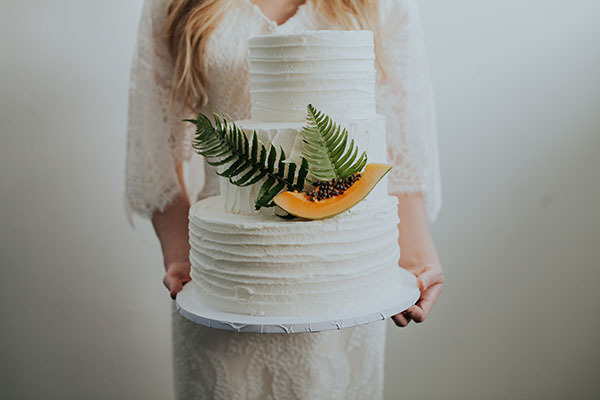 AS SEEN IN Taste of the Tropics // CAKE Something Frosted // PHOTO Julia Mather Photography // UVB SAYS Our favorite part? The un-centered tiers. Plus, that taste of aloha gives us all the good vibes. 16. 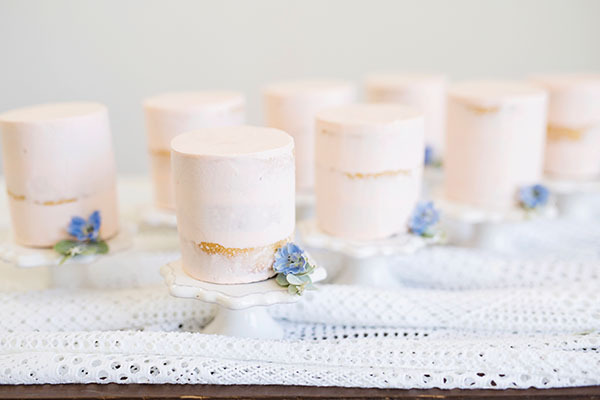 AS SEEN IN Funky + Classic // CAKE Flour & Flourish // PHOTO Breanna White Photography // UVB SAYS This COLOR! It’s unexpected. It’s unique. And it’s drama done right. What an amazing creation this was with designer Elizabeth at Eccentricity. 17. 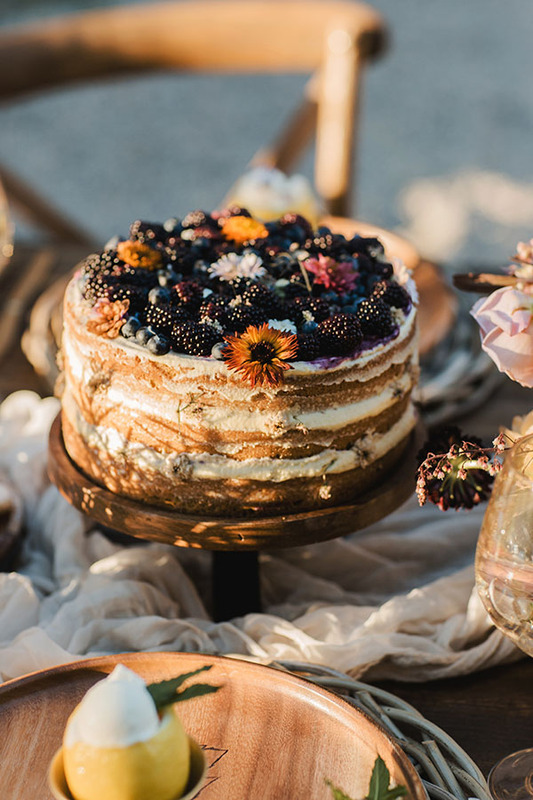 AS SEEN IN Autumn Jungle // CAKE Sweet Cravings // PHOTO Nicole Aston Photo // UVB SAYS Call us square, but this cake is one for the books. 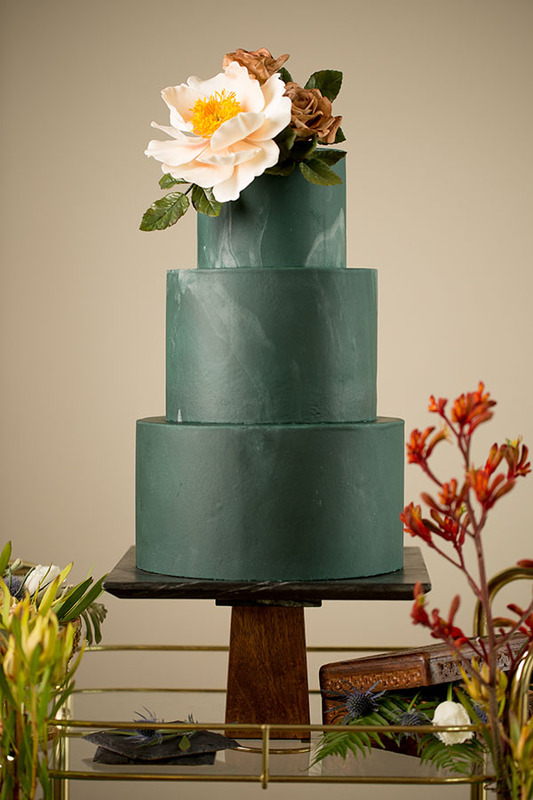 Love the shape, texture and tones on this beauty Sweet Cravings created for Cultivated Events Co.
18. 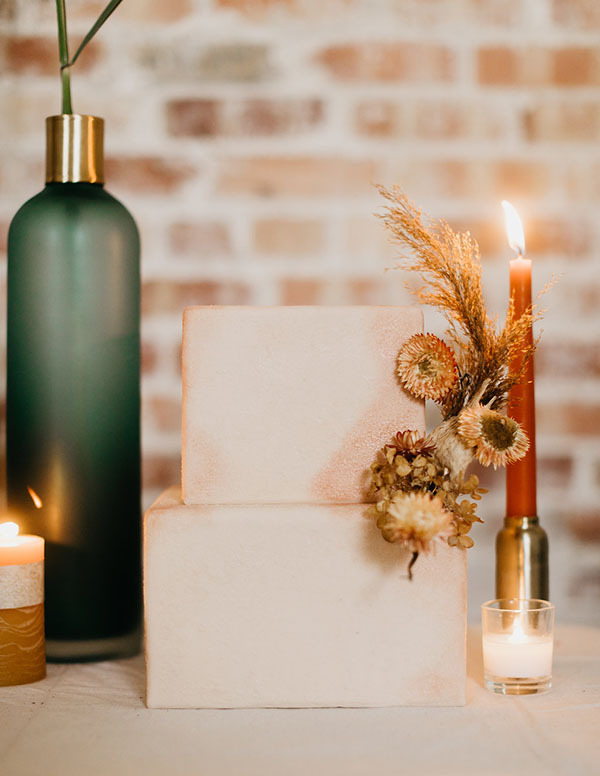 AS SEEN IN Hues + Hers: Winter in our 2018 print issue // CAKE Flour & Flourish // PHOTO Emilie Ann Photography (a #UVBvendor!) // UVB SAYS Black and white + painted perfection. Who could ask for anything more? 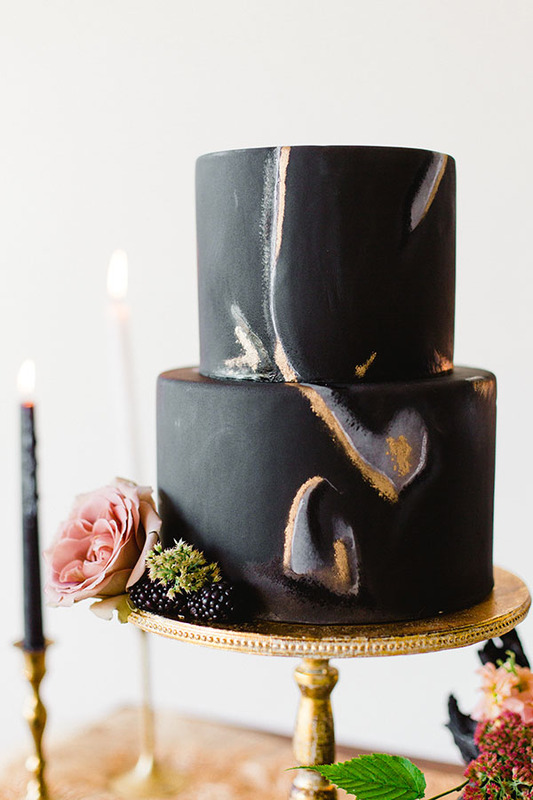 We’re still not over this dramatic elegance Flour & Flourish created with Over the Top Events for our glossy pages.